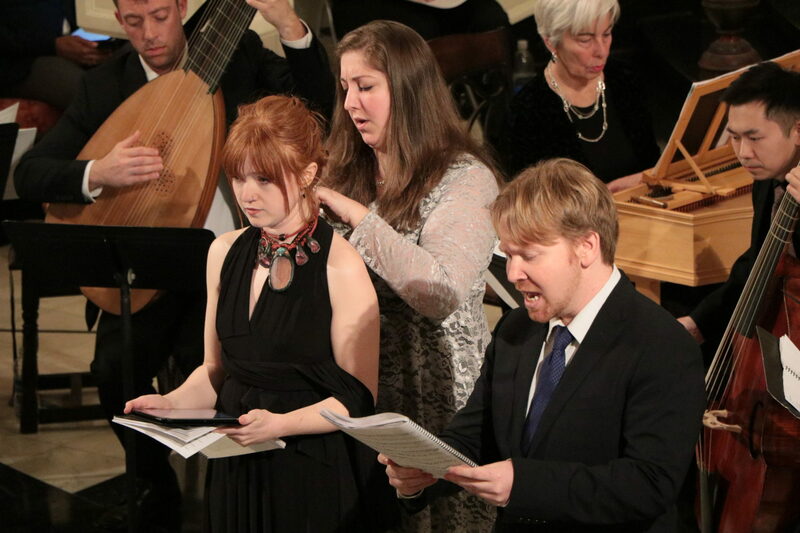 The Academy Players are pleased to present a concert of Baroque-era trio sonatas and excerpts of Alessandro Scarlatti’s oratorio La Giuditta as an introduction to the Academy of Sacred Drama for friends and patrons of the arts. Founded at The Juilliard School and reestablished through the Academy of Sacred Drama, the Academy Players are musical ambassadors for the Academy. Guests are invited to donate to support the Academy’s first season after incorporation. Donations are tax deductible. The Academy of Sacred Drama is a Baroque-style artistic and intellectual community based in New York City. The 2017-2018 season features a Year of Judith dedicated to the performance of Judith-themed oratorios rarely or never heard in modern times. For each oratorio performed, the Academy creates Academy Journals that explore the text and context of the oratorio and examine the Academy organizational format. Additionally, on October 1, 2018 the Academy will release free editions and translations of the oratorios performed under a Creative Commons Attribution-ShareAlike 4.0 International license. View the facsimile of the manuscript of Scarlatti’s La Giuditta in the Biblioteca del R. Conservatorio di Musica di Napoli here.